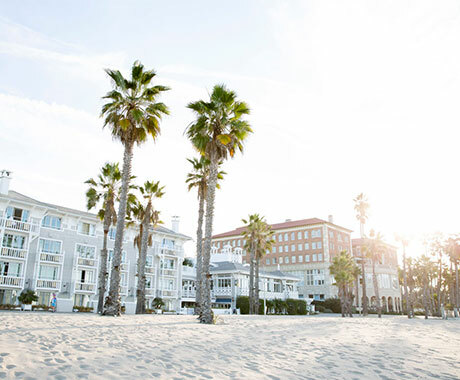 When most people think of Santa Monica, their mind immediately goes to the gorgeous landscape: palm tree-lined streets that lead you straight to the beach where the Pacific Ocean glistens in all its glory. However, nature isn’t the only outdoor beauty that Santa Monica has to offer. The city also features some of the most stunning and distinctive architecture in the country. Here are a few unique local landmarks that are definitely worth a visit. Completed in 1929, the Clock Tower Building is the highest skyscraper in Santa Monica. 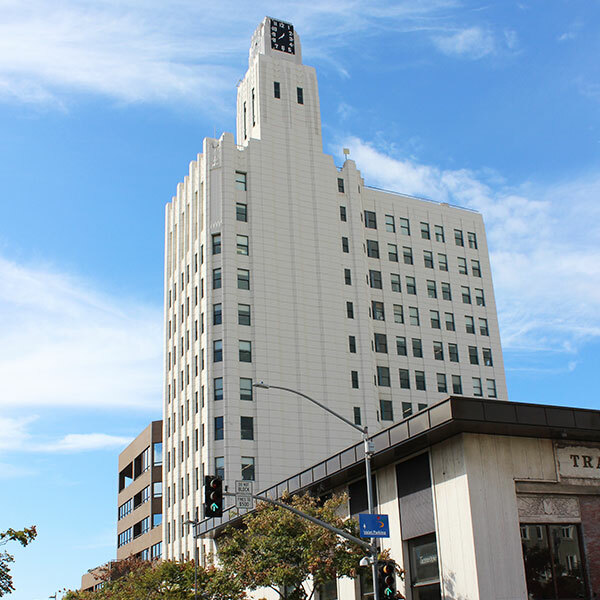 This 12-story Art Deco masterpiece built by architecture firm Walker & Eisen is one of the most iconic buildings in Los Angeles. 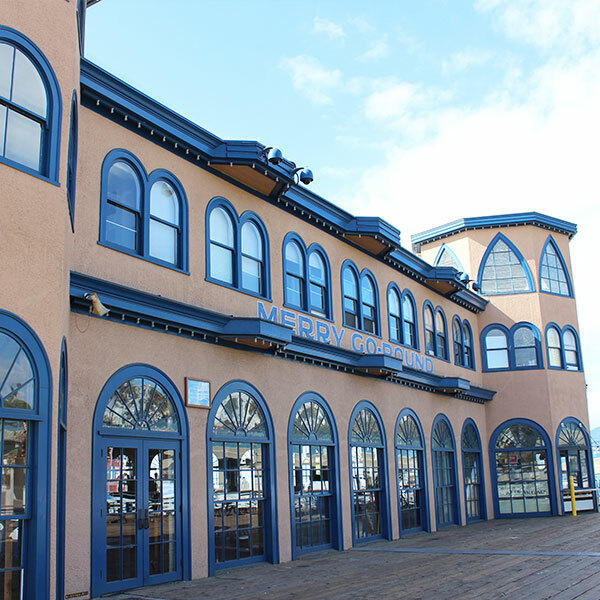 Located at 225 Santa Monica Boulevard, The Misfit, an upscale pub, occupies the ground floor while the rest of the building is used for offices. With its white terra cotta exterior, the Clock Tower Building is visible from anywhere in the city making it a great landmark to help you from getting lost. Sitting pretty on Ocean Avenue, just steps away from the beach, The Georgian Hotel is a mixture of Romanesque Revival and Art Deco piece architecture. 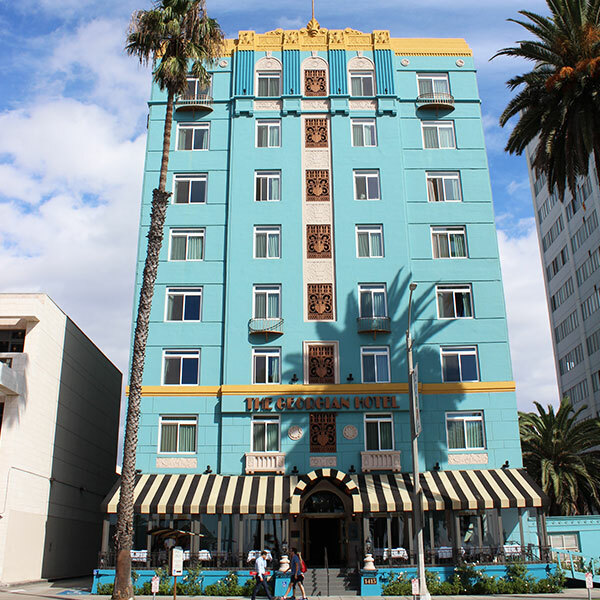 This turquoise colored beauty originally housed a Prohibition era speakeasy that saw many movie stars come through its doors. Later, it was turned into an upscale apartment building. Today, it’s a bustling hotel. 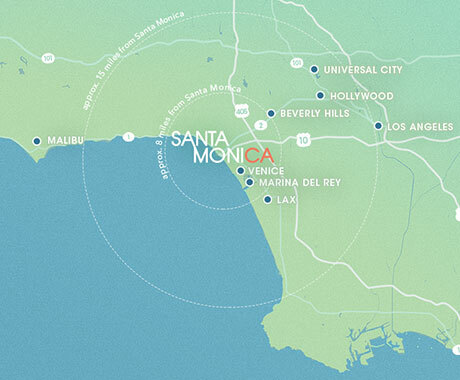 Book a room here if you want to be a part of Santa Monica history! There’s no doubt that Edgemar, located at 2415-2449 Main Street, is one of the coolest complexes in the entire city. Designed by legendary architect Frank Gehry, this large space highlights Art Deco style and Modern Industrial design. 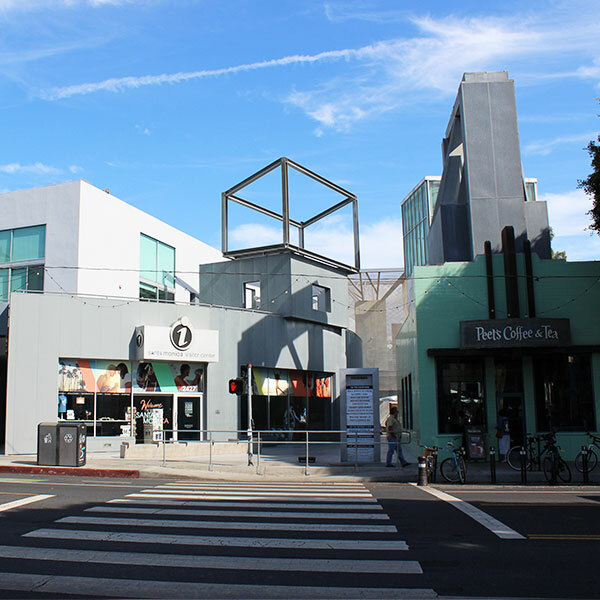 Housing retail tenants, artist lofts, offices, the Edgemar Center for the Arts and even the Santa Monica Visitor Information Center makes this building a hub for Santa Monica locals. It even has very cool art installations in the courtyard that make a trip to Edgemar a must for visiting art lovers. It’s no wonder that the Charmont Apartments are listed on the National Register of Historic Places. This structure is a hodgepodge of architectural styles. 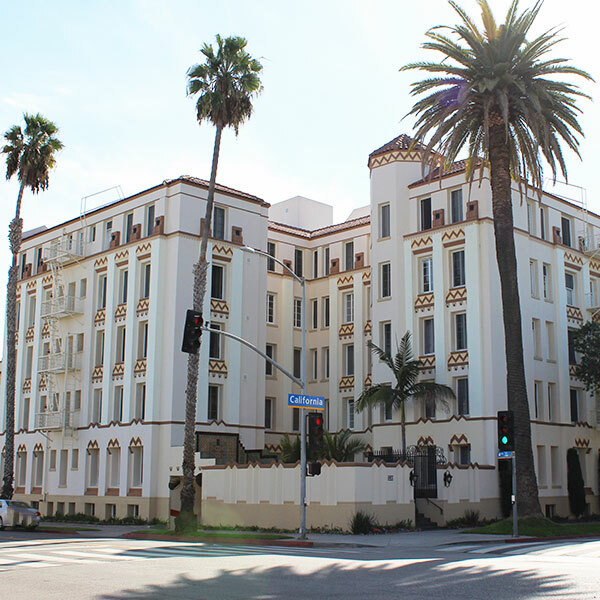 The apartment building was built in 1928 by Max Maltzman with a mix of Mission Revival, Spanish Colonial Revival, and Art Deco styles. It features 86 units with a main entrance located inside a walled-courtyard and a two-tiered fountain. If you’ve ever gone to the Santa Monica Pier, then you’ve seen the Santa Monica Looff Hippodrome. With a blend of Byzantine, Moorish, and Californian architecture, this structure was built in 1916 and is home to the city’s famous Carousel. This is no doubt the perfect place to visit with the whole family. Not only do you get to spend time in one of the oldest constructions in Los Angeles, you’re also steps away from shopping, food, and entertainment on the Santa Monica Pier.